Adobe Connect is a feature rich solution for immersive online meeting experiences from small group collaboration to large scale webinars. 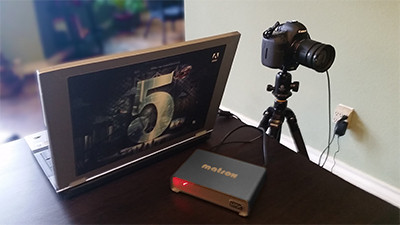 I have often been surprised by the seemingly endless way customers are able to put Adobe Connect to work because of the inherent flexibility of the platform. With that said I recently was asked by a potential customer how they would be able to use Adobe Connect for surveys. The specific ask was related to seeing and exporting survey question responses. 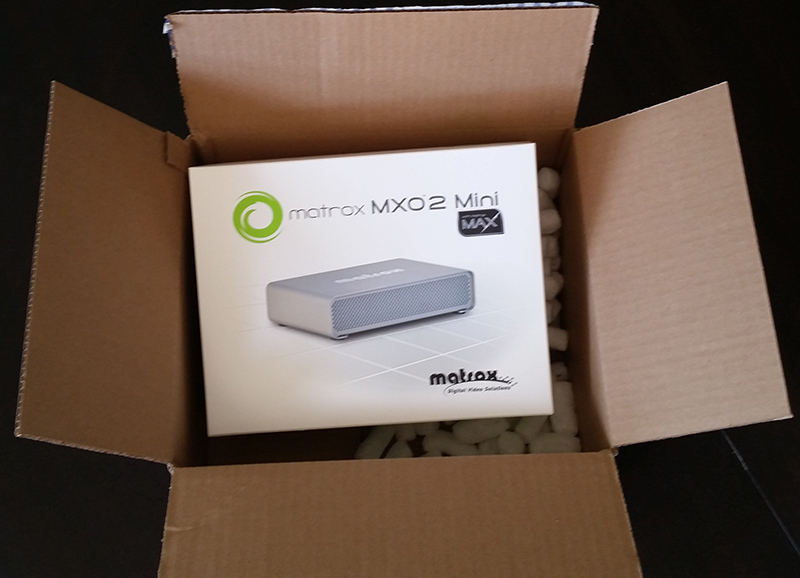 It turns out that this is not as simple as I thought and that is the reason for this post. 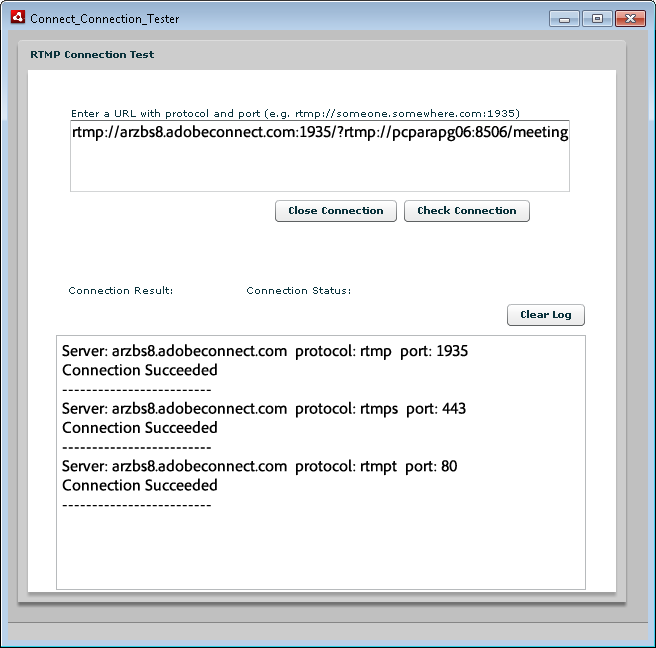 Adobe Connect has a published publicly available webservice api, unlike some competitors. I decided to use the webservice api to make this workflow much easier. At the end of this post you will find directions that will allow you to download the application. 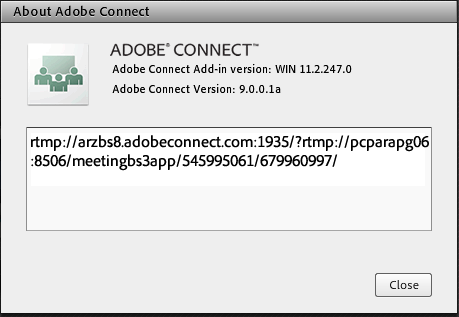 It is a simple application that requires that you use the Adobe Connect web application (Adobe Connect Central) to find the meeting or course that you would like to retrieve data from copy the sco-id ( do not worry if this does not make sense as I will explain), paste it into a field in the application and click a button to retrieve the results. There is also an option to export the results to csv. 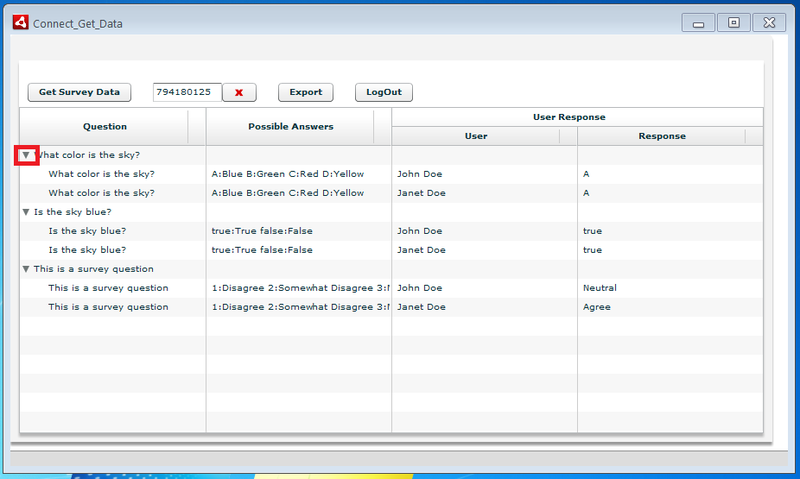 This application will allow you to retrieve poll results from a meeting as well as responses from a course. If you are not sure what I mean by meeting and or course this should help. So what does it take to use this application? First you will need to register so that you can download the application. 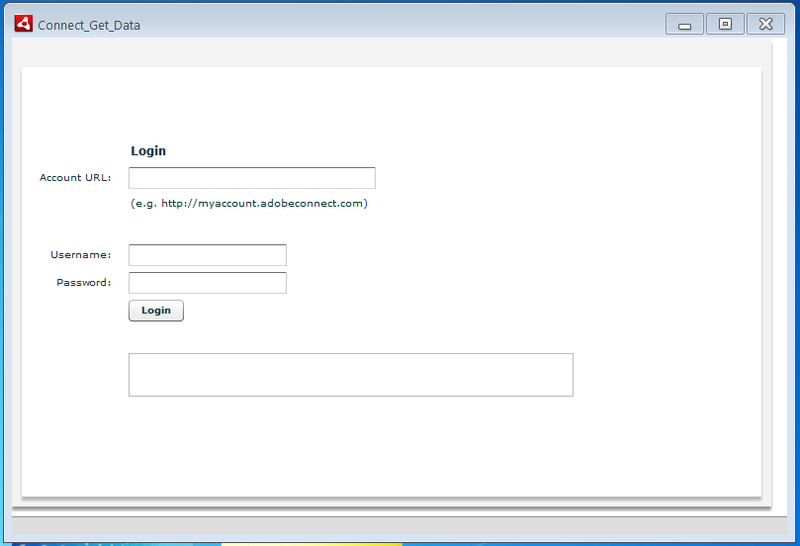 After you have installed and opened the application you will be presented with a login screen. You will need an administrator login for this application to work. In other words only someone in the Adobe Connect Administrators group will be able to use this application. The first field is the account url, there is an example below this field of the format. This would not be the url to a meeting so make sure not to include the meeting extension. The username and password should be self explanatory. Once you enter the information hit the login button and give it a few seconds to login. It is a very simple application in that all you can do is enter a sco-id (will be covered shortly), retrieve and export the results. Well ok you can do a little more. You can drag to arrange columns, expand and collapse at the question level. By the way only questions that have the results visible can be exported. Each question is expanded by default but if you did not want to export certain results you could simply collapse that question and it would not be exported in the csv. Alright where do you get this sco-id that is required to get the poll and or survey results? It is very simple. 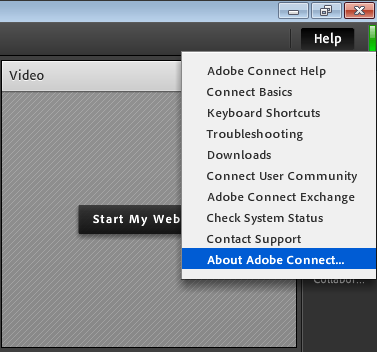 When you login to the Adobe Connect web application (Connect Central) you should be able to navigate to the meeting and or course that has the results you would like to retrieve. If you are not familiar with Connect enough to find the meeting and or course please take advantage of some of the resources available on ConnectUsers. Lets start with a course, you will find courses under the training tab in Connect Central. They have the single book icon and will have the word course under the “type” column heading. Notice the single book icon. If you click the title, in this case “Meridien report quiz score” you will see the detail for that course. Notice that this url starts with your account and has several other elements until you get to the “?”. Notice that just after the “?” is “sco-id“, that is label for the value you need. In other words look for the sco-id then an “=” then a number. In this case 794180125, yours will be a different number. Now copy that number (just the number and NOT “sco-id“), in this case you would just copy 794180125 and paste it into the field in the survey reporting application, like so. 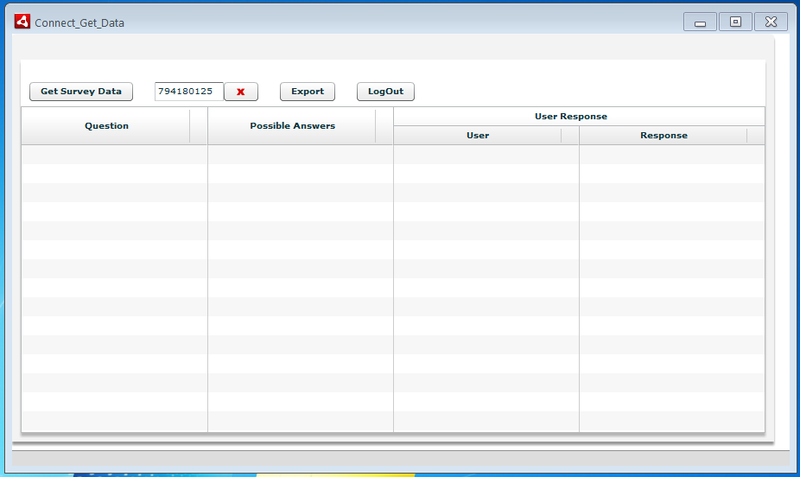 Now you are ready to retrieve the report data, just click the button labeled “Get Survey Data”. Keep in mind that this will not work for curriculum but if you have courses that are included in a curriculum you can get the reporting data from those courses individually. It is as easy to use to retrieve meeting polls, just navigate to the meeting and copy the sco-id from the url. Make sure that you are looking at the Name, Summary, Start Time, etc… of the meeting. That way you know that you are getting the sco-id of the meeting and not the directory that the meeting is in. Depending on the amount of data you might need to give it a couple of seconds to come back. The buttons will be disabled while it is retrieving the data. As I said before, you can expand and collapse rows using the arrow icon. A collapsed series is not exported when you use the export feature. That is really all there is to it. If you want to report on another meeting or course after the first, simply click the x button to the right of the field where you pasted the sco-id and paste sco-id from a different meeting or course. Well the only thing left is the download. I have setup a simple registration to better understand who is downloading and using the application. Just click here to register. Mobile continues to be a keep element in Adobe Connect’s success. The new release has some fantastic new features beyond the already fantastic features available in the previous version. You can find additional information on the Adobe Connect blog. You can see the new client in action in this video available on our YouTube channel here. Be sure to download the new app from iTunes or Google Play stores as soon as you can! Well after years of being a firefox user I am switching. I have had enough of the crashing and updates. I have run chrome for some time as a secondary browser and it is much more stable. I know there is a Flash plugin issue but it is easily fixed. 1. Type chrome://plugins in browser tab (Figure 1). 2. 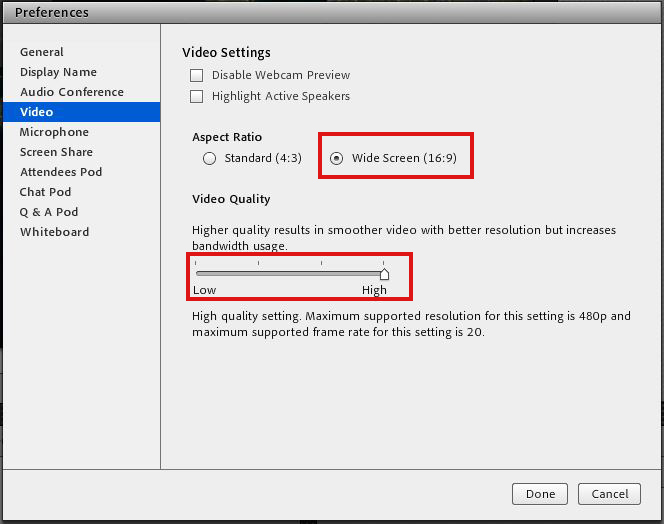 Expand Details in the upper-right area of the screen if needed. 3. Click Disable for the PPAPI (out-of-process) Flash plug-in Type. 4. 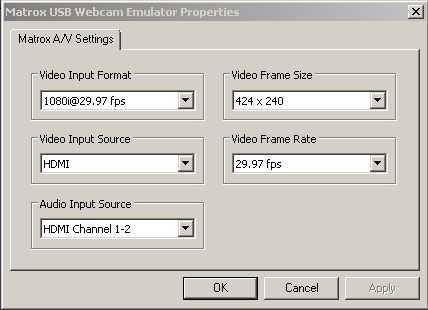 Check if there is at least one NPAPI Flash plug-in listed below the PPAPI Flash plug-in. 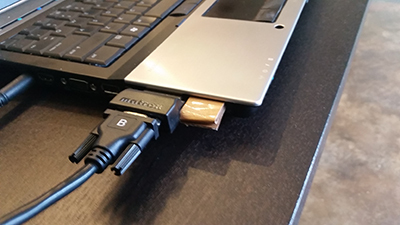 If it is, make sure at least one NPAPI Flash plug-in is enabled. Then make sure to refresh the Connect meeting client tab in the browser. 5. 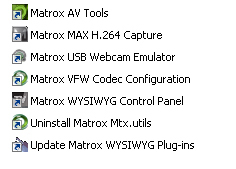 If no NPAPI Flash plug-in is listed, then it needs to be installed from get.adobe.com/flashplayer . After installing it, make sure to refresh the Connect meeting client tab in the Chrome browser. Thats about it. This issue should be resolved early in 2013. You might want to wait for that update but for me I am moving now. 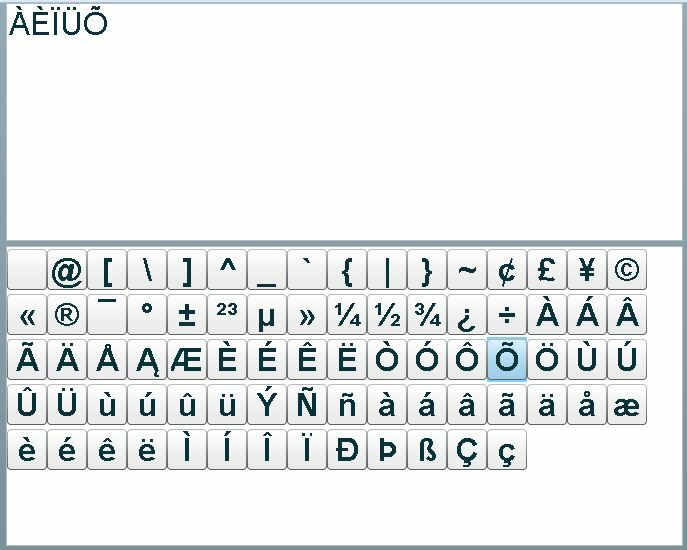 Easy access to extended characters.